Jakarta, 2017 – The popularity of the genre of Asian, Korean Pop (K-Pop) has increasingly skyrocketed since the launch of the K-Pop Hub in Spotify two years ago. Since its launch in 2015, more than 6.6 billion K-Pop songs have been played worldwide through the Spotify music streaming service where users spend more than 14.4 billion minutes listening to their favorite Korean songs. BTS, EXO, and Blackpink are three top musicians with the largest audience in Indonesia. Jakarta, 2015 – The hot rising idol group in Korea had made their first appearance in Indonesia. Bangtan Boys or commonly known as BTS, came to Indonesia for a fanmeet and showcase. The event was held in The Hall Kota Kasablanka on 11th September 2015. This venue could hold up to an approximate number of 1000 to 3000 audience. ARMY (fans of BTS) started queueing since early in the morning as it will be their very first time meeting BTS in person. VVIP ticket holders were eligible for the photo taking session and the Hi-5 event whereas Major General ticket holder were eligible for only the Hi-5 event. Thanks to the audience’s great cooperation, the event ended safe and sound. The long – awaited main event began at around 6.30pm. BTS commence the concert with a short talk show. They was asked to express themselves in Bahasa as well. BTS also mentioned that they were really happy to have finally meet Indonesian ARMY and wants to try many Indonesian foods. As the following date, (12th September 2015) is Rap Monster‘s (BTS leader) birthday and Jungkook‘s (the youngest member) birthday is coming up, ARMY INA prepared a small event by presenting them with a birthday cake. 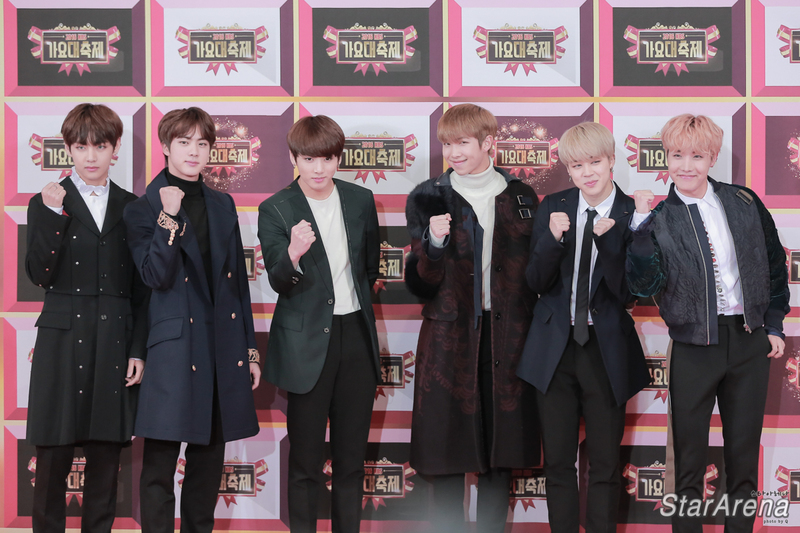 The BTS members were really pleased and thankful to see the specially prepared event. 15 minutes later, the real concert begun. BTS sang 12 of their hit songs including No More Dream, Miss Right, If I Ruled the World, I Need U, and Dope. What’s really awesome was that INA ARMY sang along from the beginning till the end. The crowd was deafening. Suga even let INA ARMY took over his part during I Need U. Their performance lasted for approximately one and a half hour. The event might be short but it was one meaningful day for ARMY INA . Should there be a chance in the future, ARMY INA hopes that BTS be able to come over for a concert because you can never get enough of watching them live, you will always crave for more of them in the future. We would like to thank S.H Entertainment for the invitation to this event. Things to expect on that day would be a showcase, group photo session (VVIP ticket holders), high 5 session (VVIP and Major General ticket holders) as well as a lucky draw where 100 fans will get a special gift from BTS! Promotion: There will be a discount of 10% for each ticket purchased at Snow Bay, TMII counter. Major and Sergeant Class tickets are also available at Qoo10, http://shentertainment.qstore.id/ (Twitter: @qoo10INDO). Customers will be given 1 free ticket for Snowbay, for every ticket purchased. Jakarta, Indonesia – Indonesian A.R.M.Y, be prepared because BTS is coming to Indonesia! This 7 membered Korean boygroup which is consisting of Rap Monster, Jin, Suga, J-Hope, Jimin, V and Jungkook will be coming to Indonesia for the first time. It has been announced by PT SH Elim Jaya Entertainment previously that they are going to bring BTS to Jakarta for a Fanmeeting & Showcase on September 11th 2015. The event itself is titled as “2015 FIRST SH Power Music with BTS and KM”. The fanmeet and showcase will be held at The Kasablanka Hall Jakarta for 2.5 hours. BTS is scheduled to sing around 10 – 15 songs. Besides, BTS promised to make all the fans in Indonesia happy by giving their best for this upcoming event in Indonesia. “BTS will give so many surprises for all fans in Indonesia, there will be games, high touch event, and others, please anticipate for it” said Romi, the representative from PT SH Elim Jaya Entertainment on the press conference held on 30th July 2015 at Snowbay Water Park, Taman Mini Indonesia Indah. This showcase will be opened by KM, an Indonesian girlgroup who is managed under SH Entertainment as the opening performer. KM is scheduled to sing 5 songs. The presale of ticket has started from July 24th 2015 until July 28th 2015 and was said to receive good response so far. “The VVIP section is sold out, the reguler sales will be started as soon as possible for all sections except the VVIP” Marchelhya, the other representative from PT SH Elim Jaya Entertainment explained. A 10% discount and a snowbay ticket pass are given for all ticket holders who bought the presale tickets. The ticket price ranges from Rp 700.000,- to Rp 3.000.000,-. The sections are divided into five different sections which are VVIP, Major General, Major, Sergant, and Soldier respectively. VVIP ticket holders will be getting high touch and photo session pass and Major General ticket holders will be getting the high touch pass only. For the other sections, don’t worry, you can be one of the lucky 100 fans to get a gift from BTS. Do you want to be the lucky fan? Be sure to stay tuned on SH Entertainment’s twitter for more information and updates about the event! We would like to thank SH Entertainment for extending the invitation to StarArena for this press conference. Bangtan Boys (BTS) will be holding a fan meet and showcase in Indonesia on the 11th of September 2015. The promoter, SH Entertainment announced on 23rd of July 2015 that the event will be held at The Kasablanka Hall. BTS, also known as Bangtan Boys, is a 7 member South Korean boyband consisting of Rap Monster, Jimin, J-Hope, Suga, V, Jungkook and Jin will be coming to Indonesia to meet their fans. This event will begin at 4pm, with the hi5 session and group photo taking session. VVIP ticket holders will be able to participate in both the hi5 and group photo taking session; Major General ticket holders will be able to participate in the hi5 session. At 6pm, BTS will begin their performance of their hit songs, followed by one hour of fan interaction consisting of games and many more. From 24th July until 28th July 2015, pre-sale of the tickets will commence. Pre-sale tickets will be available online and offline on indotix.com and online on yes24.co.id. Customers who purchase the tickets during this pre-sale period will have a 10% discount and a free ticket to SnowBay Waterpark TMII Jakarta. A special offer is provided for customers whose names are still in the waiting list for the refund of Best of Best Concert Jakarta. For more details, please visit : http://shelimjaya.com/2015/07/special-offering-penukaran-tiket-b-o-b/. Pada tanggal 11 September 2015 bertempat di The Kasablanka Hall, SH Entertainment berencana untuk mengadakan event fanmeeting dan Showcase artis yang sedang populer di Korea maupun Indonesia yaitu BTS yang dikenal dengan Bangtan Boys. BTS merupakan boyband asal Korea Selatan yang dikenal dengan kepopuleran mereka di Indonesia dengan beranggotakan 7 orang yaitu Rap Monster, Jimin,J-hope, Suga,V,Jungkook dan Jin. ke7 pria ganteng ini berencana datang untuk memanjakan fans mereka di Indonesia. Jenis acara ini merupakan fanmeeting dan showcase rencanaya akan dimulai pada jam 4 sore di mana hi5 dan photo section akan dimulai terlebih dahulu lalu jam 6 sore selama 1 jam kedepan BTS akan performance dengan lagu hits mereka dan 1 jam interaksi dengan fans seperti games, dan lain sebagainya. Untuk photo section 7 member akan bersenyum dan foto bersama dengan 8 fans. Dimana fans diberi kesempatan berfoto bersamping sampingan dengan idola mereka. Keuntungan ini khusus diperuntukan oleh pembeli tiket VVIP selain itu, VVIP juga berhak hi5 bersama dengan idola mereka. mohon konfirmasi pembayaran dengan mengirimkan bukti transfer ke email contact@shelimjaya.com dengan mencantumkan nama,notelp,ID number dan no,telp. 14 July 2015, Hong Kong – BTS will be holding their last stop of their ‘2015 BTS Live Trilogy in Hong Kong: Episode II. The Red Bullet’ world tour at Hong Kong’s Asia World Expo, Arena on the 29th of August this year. Since it is BTS’ first solo concert in Hong Kong, the organisers, Sun Entertainment Culture (太陽娛樂) and JACSO Entertainment (加秀娛樂) have decided to let everybody know more about them through an exclusive interview. When asked about what they would like to do in Hong Kong, Rap Monster, Suga and Jungkook mentioned that they are excited about the food in Hong Kong, especially the street food. They added that they have heard that Hong Kong is a food paradise and are really excited to try out the food when they are there. Suga exclaimed that he would like to eat Hong Kong fishballs (魚蛋) while Jungkook commented that he wanted to learn Wing Chun (a type of Chinese martial arts) from his idol, Donnie Yen (甄子丹 – a very famous Hong Kong actor; Martial arts artiste). Jungkook: “Donnie Yen is my idol, he is really handsome and cool!”. We do hope that he will have the chance to learn Wing Chun from Donnie Yen one day! It is a well known fact that BTS can dance and sing well; are there any type of drama or variety shows that the BTS members are interested in and would like to attempt? Jimin immediated responded that he wants to try acting and all the members were very supportive of him. V and Jungkook mentioned that if they were given the chance, they would like to participate in a Hong Kong martial arts movie and assured that they will do their best in it. It is BTS’ first solo concert in Hong Kong, but it is not their first visit as they have been there for MAMA. All the members stated that Hong Kong fans are very enthusiastic and Suga added on saying: “Especially the overflowing love from Hong Kong fans. It made me wonder why Hong Kong is the last stop of this tour? We should have come here earlier!”. Jin also conveyed that there were many Hong Kong fans who went to Seoul for their fansigns and that made him want to meet Hong Kong fans as soon as possible; and to perform for them. All the members are born after the year 1990 and even though there is still some years before they all turn 25, what would be some goals or wishes they would like to accomplish before they turn 25? Regarding this question, the eldest member, Jin, said that he wants to travel with the members while he is still young, fit and healthy. With this, all the members agreed with this suggestion and stated that it has been a long time since they had the time to play/travel around. The members seemed really close with one another and it is a surprise that they did not know each other before they formed BTS. The members added that they had a deep impression of V. Jin and Suga then teased V saying that in the past, V was very tanned and jokingly asked if he was wearing dark-brown socks today. Rap Monster comforted V by saying, “The reason why we have been improving is because of V!”. Jimin, the last member who joined BTS, said that he did not really have friends initially and added, “Thanks to V’s care and concern, I was able to adapt and be comfortable quickly so I am very grateful to him”. When asked about if they were awkward with one another when they stayed in the dorm together, they recalled that they were not awkward with each other but what really bothered them then were the number of mosquitoes in the dorm. Jin recalled: “It was the first time that I have seen so many mosquitoes, it was terrible.” Suga: ‘It was like a mosquito breeding ground!“. BTS had debuted for 2 years and have been gaining popularity and recognition. To those who do not know who is BTS, how would you introduce yourself to them? J-Hope: “希望哥 (which literally means Hope Brother)”. Jimin: “Chim Chim”. Rap Monster: “Rap Mon!”. Jungkook would introduce himself using his original name, while Jin confidently said, “帥人 (which literally means handsome human’).” Suga: “閔Suga 天才 (which means Min Suga Genius).”. V: “V最型 (which means V-the-most fashionable)”. All the members of BTS were very interested in learning Cantonese and even asked the translator to teach them words such as ‘pretty girl’ and ‘I love you’. Hopefully they would be able to make use of what they have learnt during the concert! We would like to thank JACSO Entertainment for providing us with the transcript of their interview with Bangtan Boys (BTS) and this press release. This press release has been translated into English for our readers. However, there might be some points whereby certain phrases and words may not be entirely accurate translated and fitting to describe what was said exactly. Nevertheless, we have tried our best to translate it as accurately as possible and do feel free to point out if we have missed out or mis-translated a certain point. Enjoy!